Describe the exit that goes into the location. Along the street, lamps that are hung with baskets of flowers and seasonal banners that all have Mythic Wood and Daisy Street on them illuminating the area quite well after dusk. Describe the main room of the location. 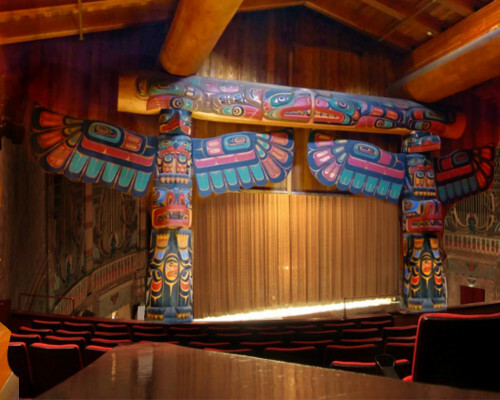 During the week the theater is used for cinema viewings. The movies are not usually those that are currently out. Often classics and theme shows. 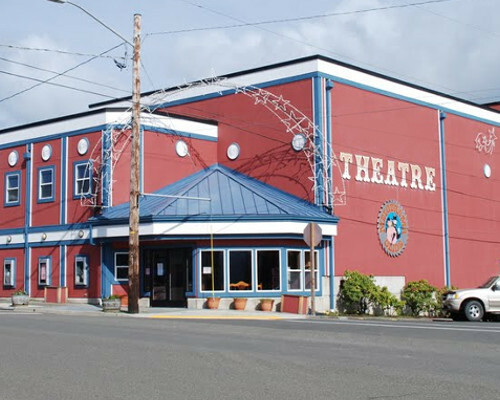 During the weekends the theater is used for performing arts. If some band or comedian or celebrity performer happens to come to town, this is the place they will be performing. Mostly though it's used for local community performance events. Mythic Productions, especially during the summer months, put together performances of Melodrama and Olios.